Trumbull Community Women’s membership covers a wide spectrum of ages, lifestyles, occupations, and different stages of life. But we come together with a mutual goal: to reach beyond ourselves and find the time to give back to this town we all love. The friendships that have developed among our members because of this spirit is one of the best things about belonging to the club. Trumbull Community Women is actively seeking volunteers 18 and over who reside in Trumbull or a nearby community. The non-profit organization sponsors and participates in numerous local events including; the Children’s Creative Center tent at Trumbull’s Arts Festival; a Veteran’s Day celebration breakfast; Tidy-Up Trumbull, free document shredding, food drives and more. Community involvement also includes holiday baskets for a local family in need. For more information, contact us at trumbullcommunitywomen@gmail.com. 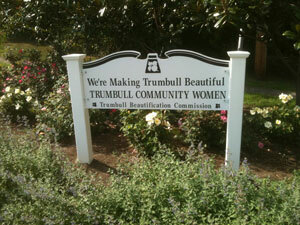 Click on the link below to see a video about Trumbull Community Women is involved with. Jane E. Ferreira, President & CEO of Mercy Learning Center made a presentation to our group. We learned of the organization’s mission which seeks to provide basic literacy and life skills training to low-income women using a holistic approach within a compassionate, supportive environment. All women are welcome without regard for race, religion, color, creed, sexual orientation or national origin. We, Trumbull Community Women, hope to provide volunteer support as well as monetary support. Please check out their website https://www.mercylearningcenter.org/mission/ and help us provide whatever support you can. 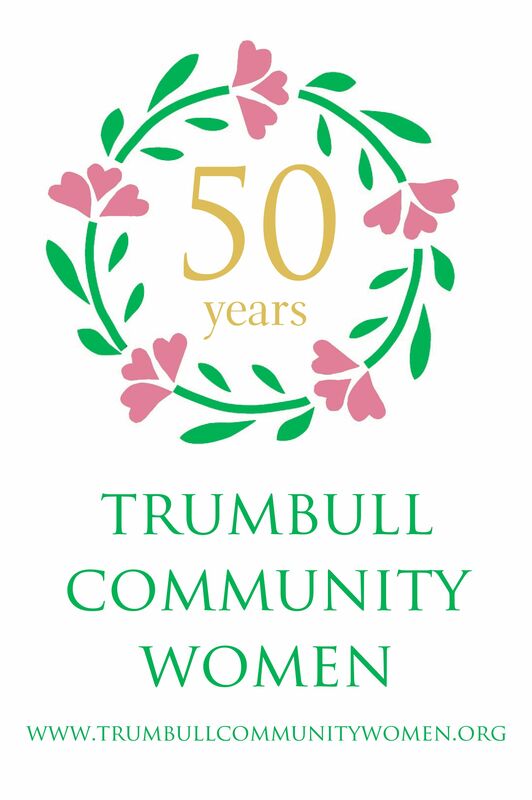 Trumbull Community Women will award a $1000 scholarship to a graduating high school senior who is a resident of Trumbull, CT. The scholarship recipient will be chosen based on their dedicated time and effort volunteering in the community or surrounding communities, along with a demonstrated leadership role within the community service activities, and the subject content of an essay not to exceed 500 words. Our next Tidy-Up Trumbull event is scheduled for Saturday, April 20, from 9:00 a.m. until 12:00 at Twin Brooks Park with a volunteer celebration at the Pavilion starting at noon. We invite civic groups, scouts, Trumbull businesses, church groups, sports teams and local family and friends who want to help clean up our parks, parking areas, roadsides and hiking trails. Please contact Liz Thomas at lizthomas413@sbcglobal.net or (203) 261-2644 if you are interested in volunteering. It is also a great opportunity for anyone needing community service hours. Groups that find it more convenient to work during the week, please just contact Trumbull Community Women to schedule. Our Spring 2019 Shred-It day was a success!! We held the event on April 13th at the Trumbull Nature Center from 9-1. The day was slow but somewhat steady and all attendees were very appreciative and generous with their donations. We counted 150 cars and received $1310 in donations. The truck cost $600, so we made $710!! Thanks to the generosity of the residents of the Town of Trumbull, our food drive was a success. We collected two carloads of food and $400 in cash which was converted to Stop & Shop gift cards. Below is a picture of TCW member, Terri Malo along with the staff of the Trumbull Food Pantry. Along with the food collected, they are holding the Stop & Shop gift cards obtained with the cash that was donated. Thank you again to the residents of Trumbull. The club again sent Santa/Frosty letters postmarked from the North Pole. A total of 140 letters were sent. A total of 140 letters were sent delighted children throughout the U.S.
Trumbull Community Women again hosted the annual Veteran’s Day Breakfast on November 12 at Trumbull High School. Veterans arrived between 7:15 a.m. and 8:30 a.m. for coffee and refreshments in the corridor outside the auditorium. The ceremony began at 8:30 a.m. in the auditorium. Trumbull Community Women sponsored the Health Walk as part of the Great Pumpkin Classic. It’s a 2-mile walk and proceeds will go toward scholarships and mini grants for teachers. This year the crafts included lei making, scarecrow hat making, kite making, scratch art and fall tree painting. There was also a hay bale photo booth where children could take selfies with their projects. Trumbull Community Women is now collecting toiletries to benefit the Mercy Learning Center in Bridgeport. Toiletries include: shampoo, bar soap, toothpaste, toothbrushes and deodorant. Trumbull Community Women’s support of the Trumbull Food Pantry has been an ongoing effort for decades. In the past few years, our effort of sharing information on needs, location and mission has increased through food drives which raise funds for gift cards. and stocks the pantry. We have also shared hundreds of flyers and shopping lists with our community. Currently serving over 100 families in town, the recipients are your neighbors and friends. Please continue to support and help spread the word about the items needed. Debi Miller, President of Trumbull Community Women, met with Vickie Tessoro, First Selectman of Trumbull, to discuss social services and the schools. Debi shared with Vickie the projects that Trumbull Community Women is currently working on and advised that if she hears of a need, we are the group to call on to help. Also at the meeting was Sandra Weiner, Secretary of the Club. Elections for officers are held in April. Click here to see our current slate. Visit our calendar and see what we’ve done and what we plan for this year’s schedule. Trumbull Community Women is affiliated with the Connecticut Junior Women’s Club. To learn more about the state club and other Junior Women’s clubs throughout Connecticut, visit the CJW website at www.cjw.org.